Is competitive intelligence the key to omnichannel success? 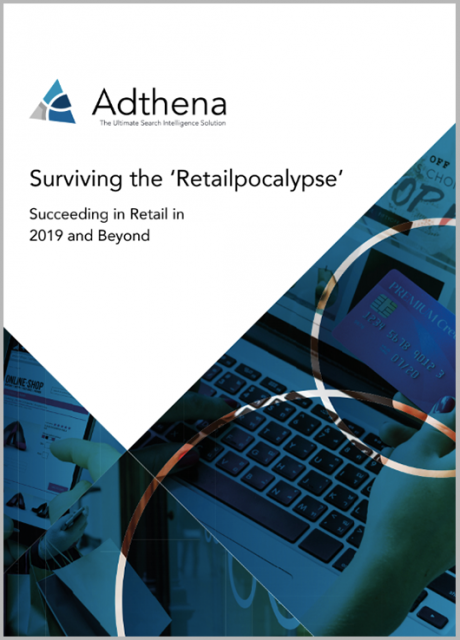 Competitive intelligence briefing: The so-called ‘Retailpocalypse’ has seen Toys ‘R Us , Sears, Mattress Firm, Brookstone, and Rockport file for bankruptcy, and has forced widespread restructuring for many other brands across the sector. Brick and mortar brands have unique omnichannel challenges. Not only do they have to be leaders in digital, winning online visibility alongside pure play specialists and marketplace retailers, but they also have to unite these digital experiences with their in-store offerings. So how do you survive the ‘Retailpocalypse’? Unique analysis on the downfall of Sears: Did the retailer fail to capitalize on the Google Shopping opportunity. Wayfair’s success story, and how the brand achieves excellent search presence. To download this briefing, please complete the form above.